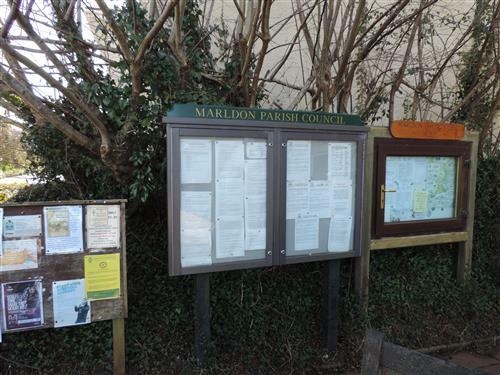 This ‘potted history’ of Marldon has been written by Marldon History Group -Treasurer Tony Chidlow. 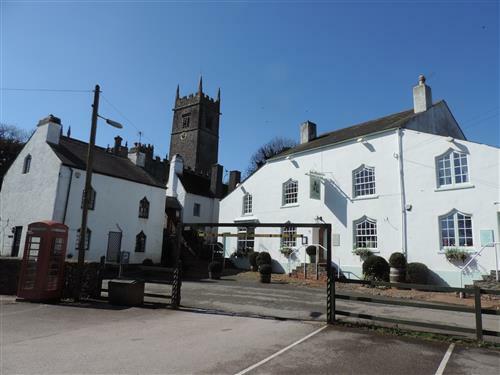 MARLDON is a beautiful rural parish in the South Hams of Devon comprising the village of Marldon and the hamlets of Compton and Westerland, a few miles inland from the resorts of Torbay and within easy reach of the towns of Totnes and Newton Abbot. Its topography falls from the ridge along which runs the A380 (the “ring road” which separates the parish from Torbay) and the heights of “the Beacon” down to Compton in the valley of the parish. Marldon The parish has a population of about 3000 and is still predominately rural, having a number of working farms within its boundaries. 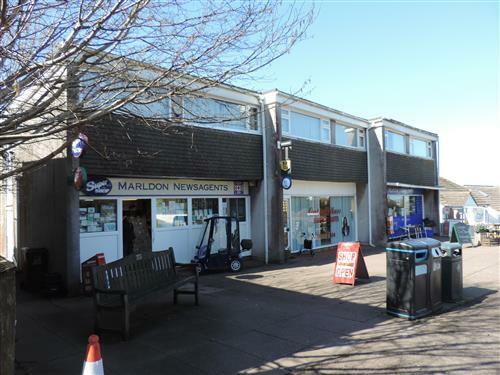 However, in common with many rural villages, it has had its share of postwar “bungalow” development, and its two ancient inns are now joined by three shops and a garage/petrol station. Nevertheless, it has many lanes, public footpaths and bridleways which quickly take the walker to quiet places and beautiful views. Its modern (1964) Church of England primary school, though small by today’s standards, has replaced the original school of 1865 and has an excellent record. Marldon is probably best known today for its traditional “Apple Pie Fair”, an event having its origins in the late 19thC when George Hill, a parishioner, took his apples on his donkey cart to the weekly market at St. Marychurch, and a large apple pie to its annual fair. After his death, the Marldon Apple Pie became a feature of Marldon’s own annual show and sports day, now called Marldon Apple Pie Fair and held on the last Saturday of July each year, with a large apple pie still being carried in procession on a donkey cart. 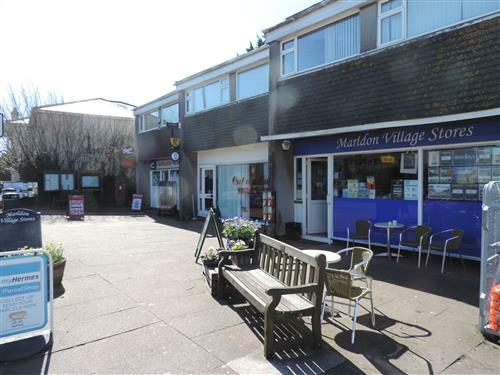 Although Marldon is undoubtedly an ancient place, it cannot make the now ubiquituous claim of being in the Domesday Book, as “Marldon” did not exist when William’s Commissioners came to this part of Devon. However, other places now or formerly in the parish (Stantor, Occombe, Compton) do have that distinction. Marldon’s Church of St. John the Baptist was built by the Gilbert family of Compton. 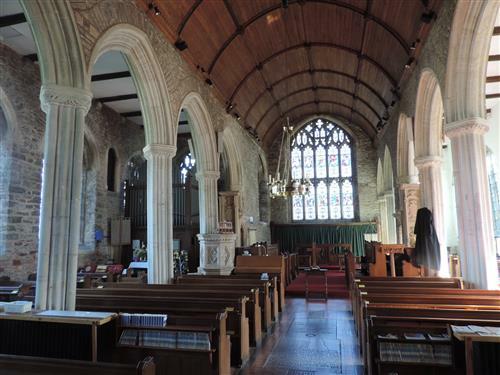 The first recorded mention of a church or chapel is in 1348, and the present tower was built by William Gilbert in about 1400, whose son Otto built the church Marldon Church we see today, replacing the earlier building referred to in 1348. The church is a fine building of local limestone in the late Perpendicular style, the font being contemporary with the 1450 rebuilding. 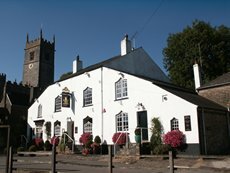 The church has six bells, the oldest being contemporary with the tower and four others dating from the 16thC and 17thC. The sixth bell was added in 1970. 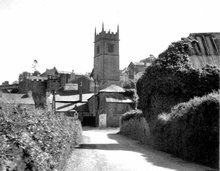 The Church underwent a Victorian restoration in 1884 - 1889, including the removal of two galleries at the base of the tower, one for the school children and the other for the church musicians. The galleries were removed when the original organ was installed in 1885. The Church has records of its births, marriages and deaths from 1598. The Church is at the heart of the original village, having as its immediate neighbours the Church House Inn (reputedly built for the workers building the church), the former almshouses, the former School and a cluster of white-painted cottages. The former Congregational (United Reformed) Chapel (1865) is at the top of Church Hill, oposite the former quarry from which its stone and that of the Church were quarried. Marldon’s other ancient pub, the Old Smokey House Inn, is on the old turnpike road to Brixham. Compton Castle is the oldest building in the parish, coming into the possession of the Gilbert family in 1329. 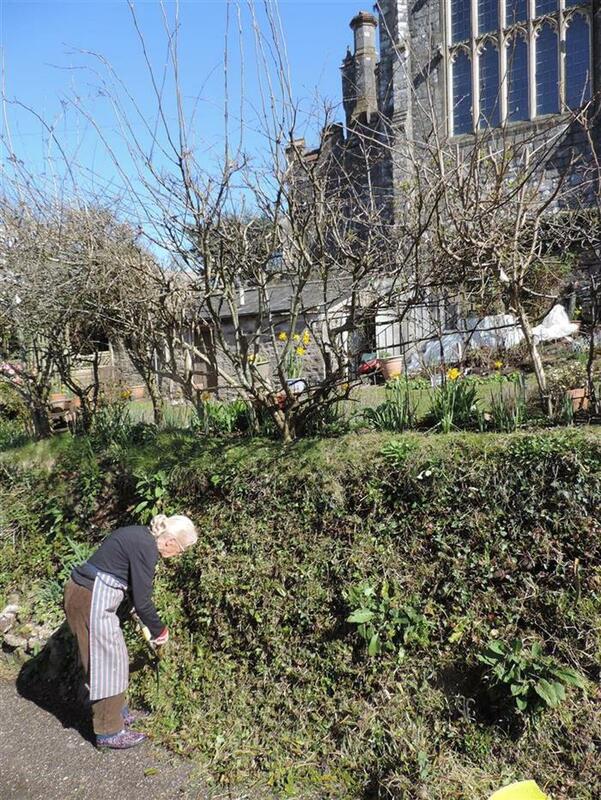 It is now recognised as one of the best examples of a fortified manor house in the country. Apart from a gap of 146 years when the estate went out of the family, the house remained with the Gilberts until it was handed to the National Trust in 1951, and is still occupied by the family.